Arco String Quartet can provide music at any point during your wedding day, whether it be the ceremony itself, the hotel drinks reception in the afternoon, as background music during the wedding meal, or indeed after the meal itself as live music and entertainment. However, the wedding ceremony is perhaps the most important part of your day, and for this, Arco provide the highest possible level of service to meet your needs and requirements. Whether you have chosen to have a Church or Civil wedding ceremony, music is surely the most important factor in creating the perfect classical and romantic atmosphere. Choosing music to suit your wedding day can be a difficult task. 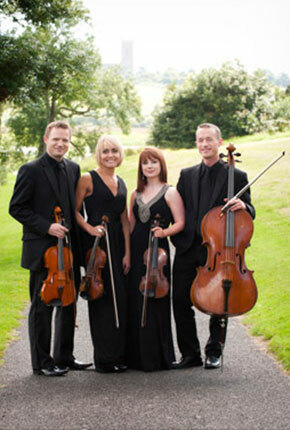 Arco String Quartet provide a highly professional consultation service free of charge and will offer you invaluable advice on personalising your music choice, making the ceremony even more meaningful for you both. And if there is a piece of music you particularly love or want to hear that does not appear on our repertoire list, we will be happy to find and arrange any exceptional requests. 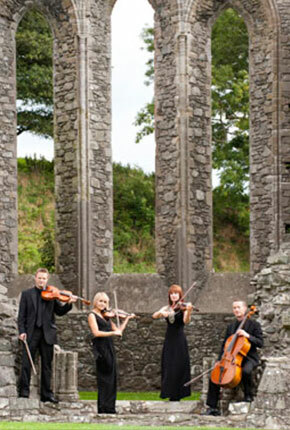 Arco String Quartet can provide and play for singers during the ceremony, accompany hymns if required (hence no need for an organist), and also provide additional musicians such as pianists, harpists, flautists and pipers. Arco String Quartet can provide hours of music to suit all ages and tastes, from classical favourites to easy listening and jazz classics, through to show tunes and pop covers and arrangements. Whether it be to enable your guests to relax during the afternoon drinks reception, to provide a perfect background atmosphere during your wedding meal, or to add a certain special finesse to the post dinner entertainment, Arco will provide that wow factor that makes your day special beyond your dreams. 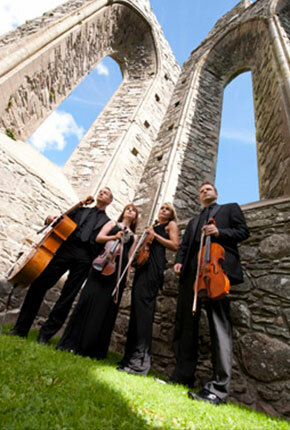 For those occasions during the day, perhaps during the wedding meal when the level of backgound noise might to be a problem, Arco String Quartet will, where possible, use a state of the art PA system to enhance the sound of the quartet, but without interfering or distracting from the overall enjoyment of the guests.